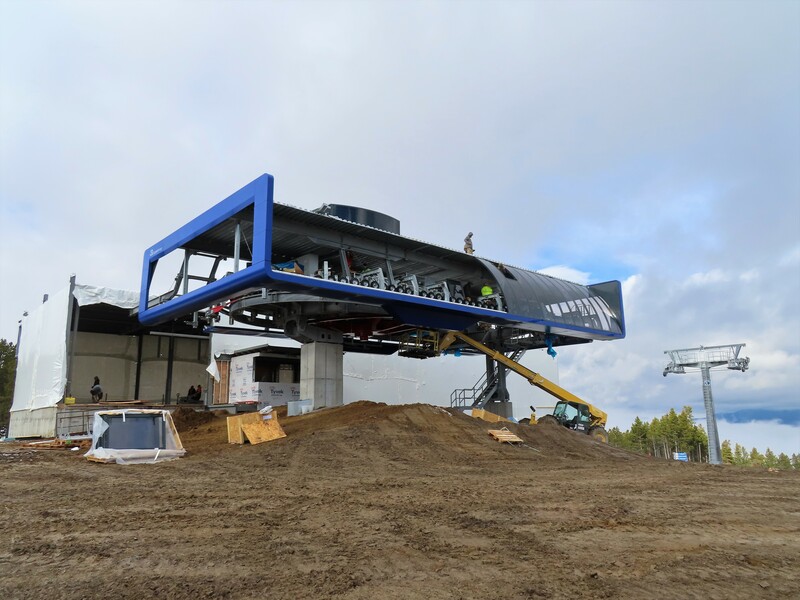 The first of Walt Disney World’s three Skyliner lines is looking a lot like a gondola these days with cabins moving along at a brisk clip during test runs. 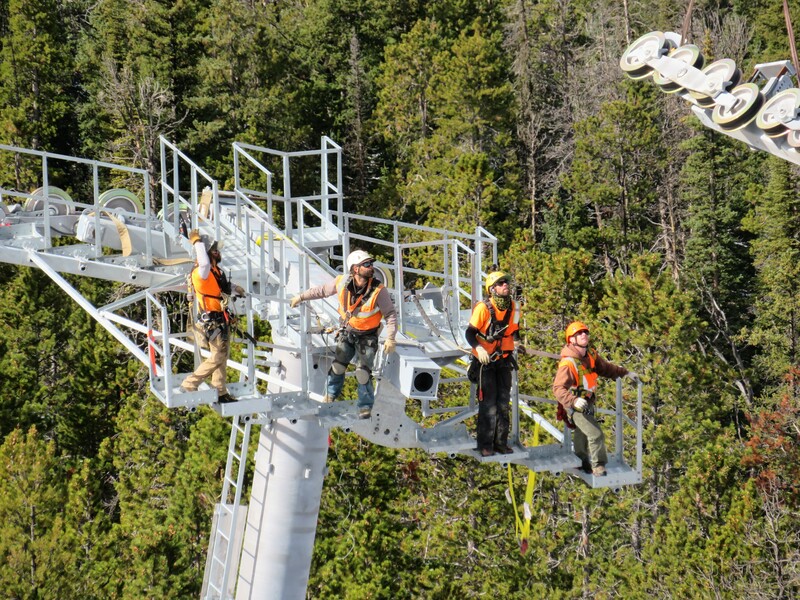 Line speed appears to be at least 5 m/s with cabin interval around 10 seconds, translating to a 3,600 per hour capacity. 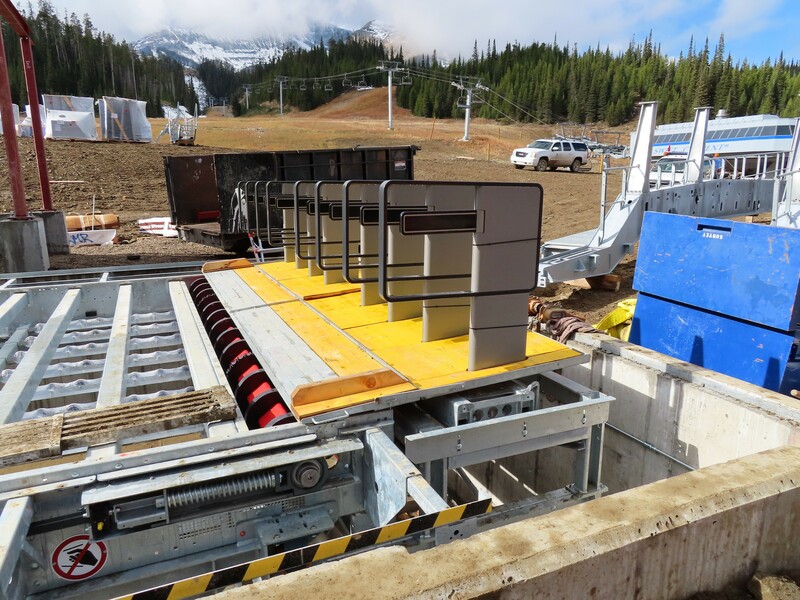 We’ll have to wait and see what the final spacing and speeds are but it’s clear these gondolas are going to move a ton of people. One of the many cabins now flying between Disney’s Caribbean Beach Resort and Hollywood Studios was recently uncovered, providing some clues to how the system will look when completed. 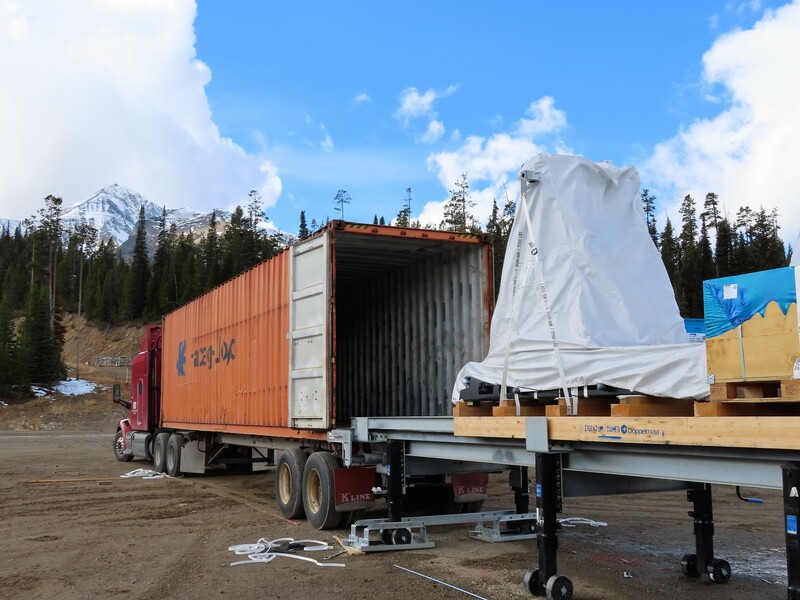 The landing below the cabin doors is wider and squarer than normal for easy loading and unloading. There are three windows that open out on the front of the cabin, one on the tower side and two at the rear. Additional vents at the bottom ensure there will be plenty of air flow. While gondola number 251 is a simple yellow with glazed windows, many other cabins will feature Disney character graphics. 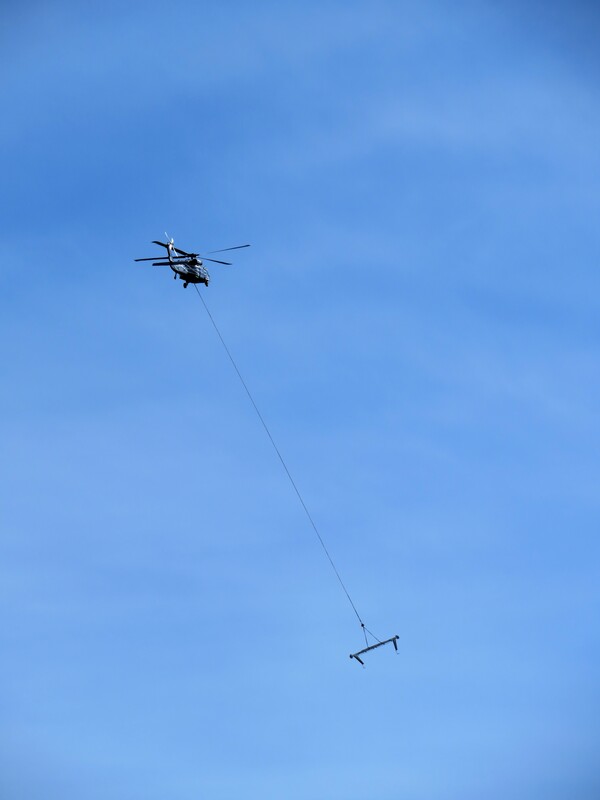 The Epcot line, which stretches some 8,200 linear feet with two angle changes, is not far behind on its way to completion. 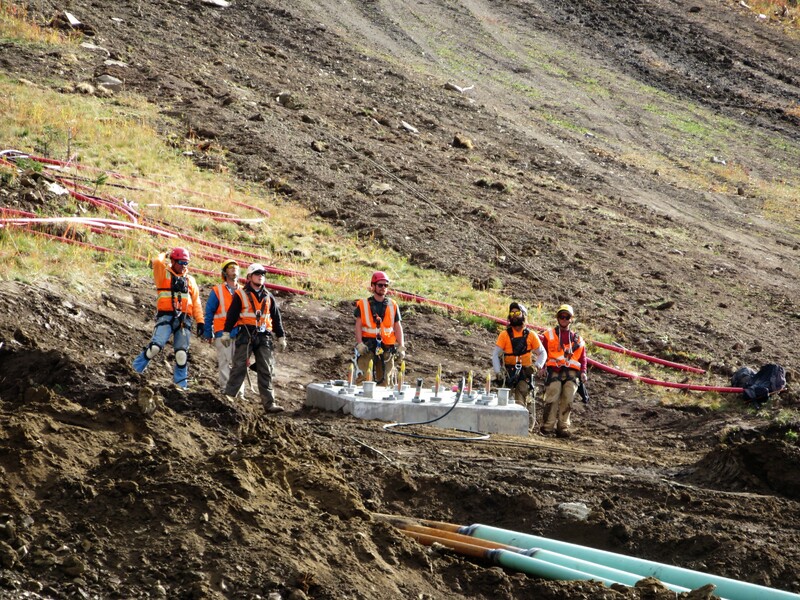 At the first angle station, landscaping is underway and stairs are being erected for worker access to the terminal. 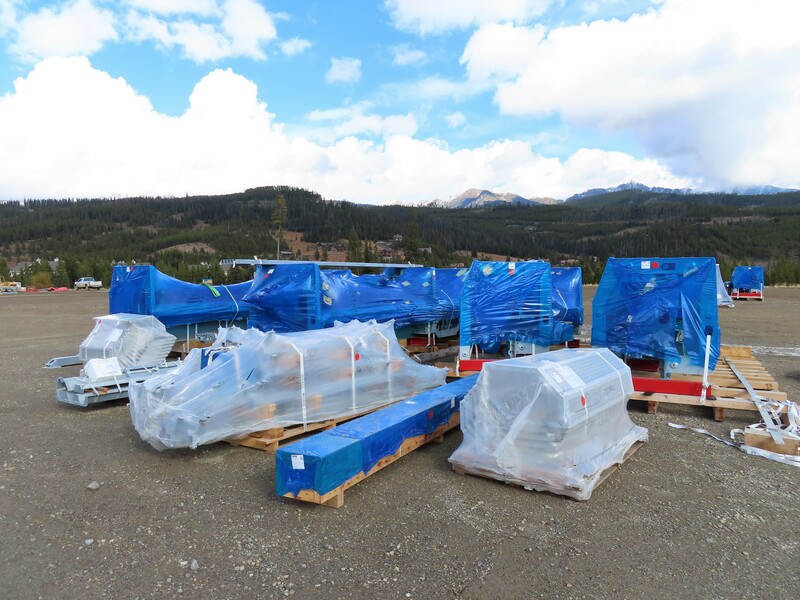 A rainbow shipment of CWA cabins is now stateside, earmarked for the skies above Central Florida. 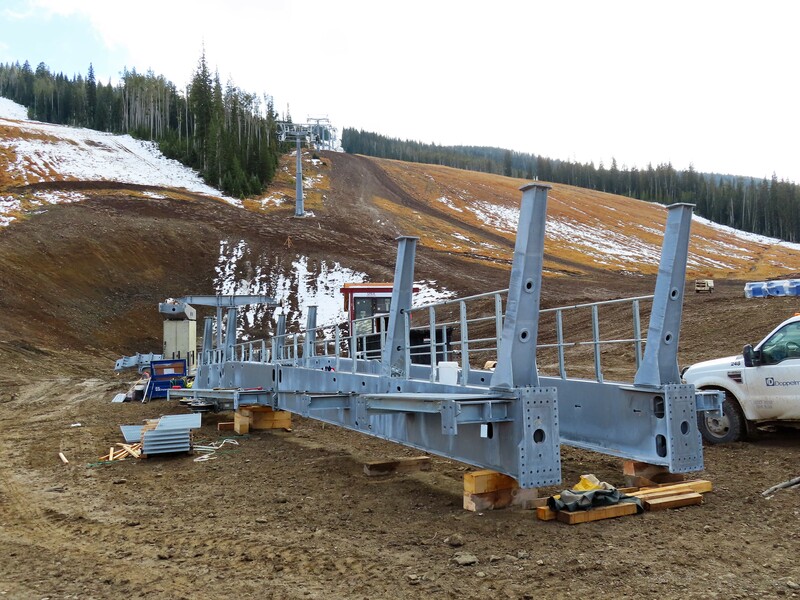 Construction continues on the three line Disney Skyliner system, which is set to open this fall and sure to become a showcase for high capacity lift technology. In addition to the row of cabins now staged at the Caribbean Beach hub, cabins have also been spotted in the Epcot, Hollywood Studios, Pop Century and Art of Animation stations. While the gondolas are covered in protective wraps, you can see they come in a variety of colors with Disney character art on the windows. There are interesting looking electrical boxes on the cabin roofs. I’m curious to see what sort of infotainment the Skyliner carriers feature, if any. It does not appear that power is derived from solar panels, as is the case with some other urban gondolas. 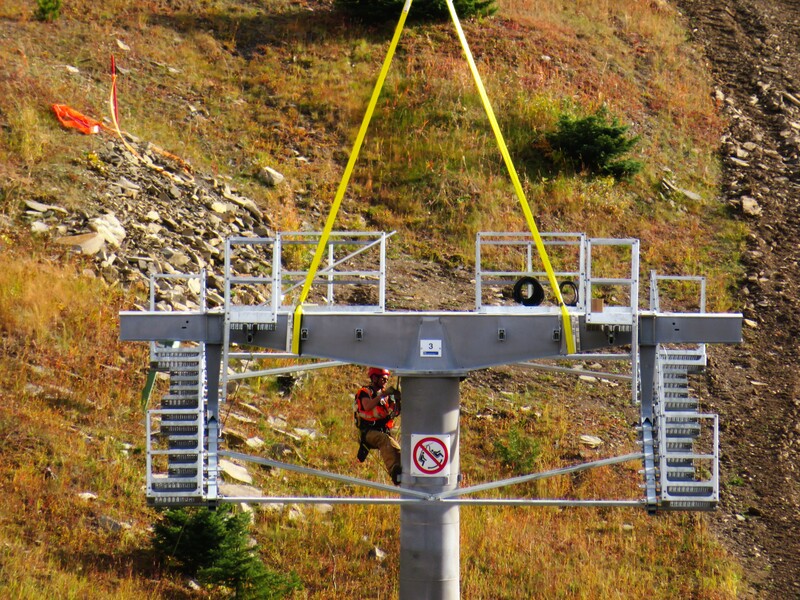 The most expensive gondola system ever built in the United States will debut sometime between September and December next year. Bob Chapek, Chairman of Disney Parks, Experiences and Consumer Products made the announcement this morning in a keynote address at the International Association of Amusement Parks and Attractions Expo, which Doppelmayr and CWA are attending. Competitor Leitner-Poma is also there. 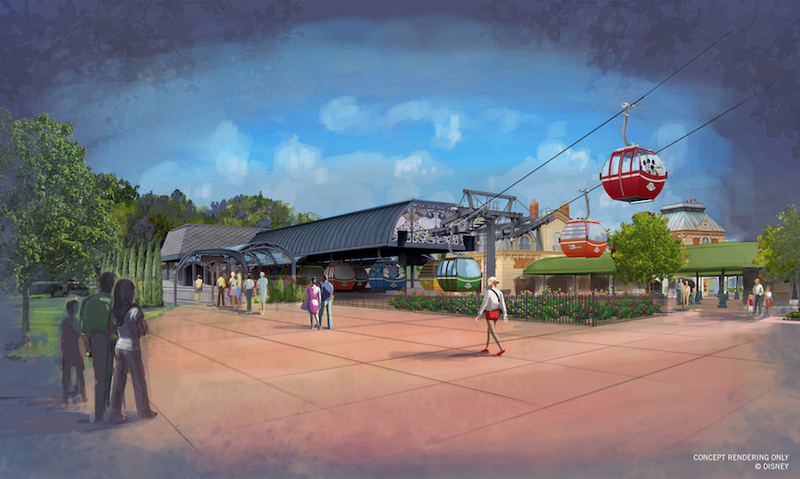 “Next fall, Disney Skyliner will not only efficiently move you to your location, it’ll also offer a whole new way to experience Walt Disney World with amazing views only available from the sky,” the resort said in a blog post. 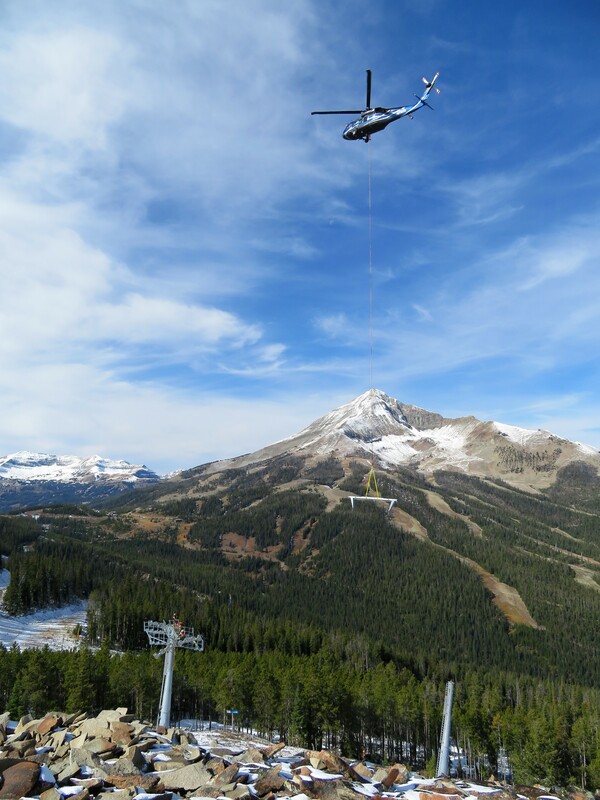 Construction began on the three gondola lines in July of 2017. 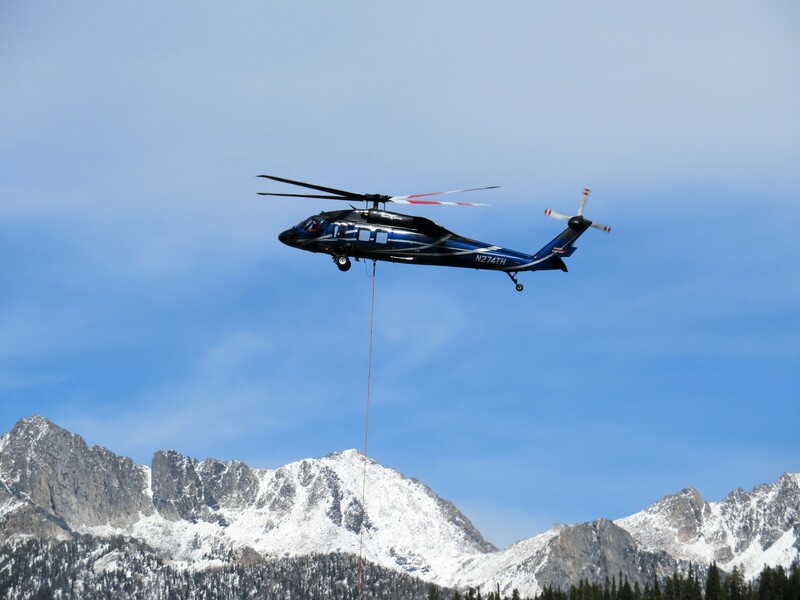 Crews are working across the resort to complete the network, which will link two of the most visited theme parks in the world with four major hotels and replace a significant number of Disney Transport bus routes. A mural was recently added to the gateway station at Epcot and the second angle station now has its Doppelmayr D-Line enclosure. A second angle station will service the sprawling Riviera Resort, seen below. 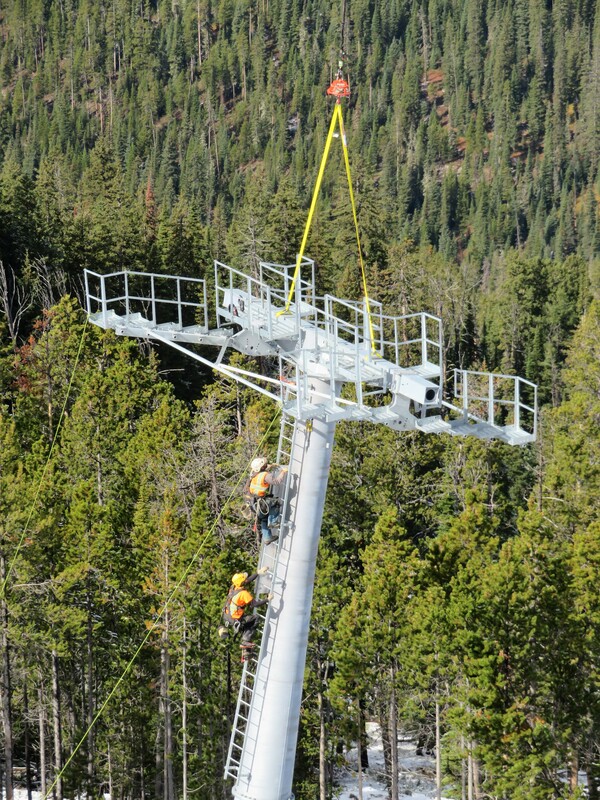 Can you spot the lift? Guests will find themselves just a few minutes from both Hollywood Studios and Epcot by gondola. 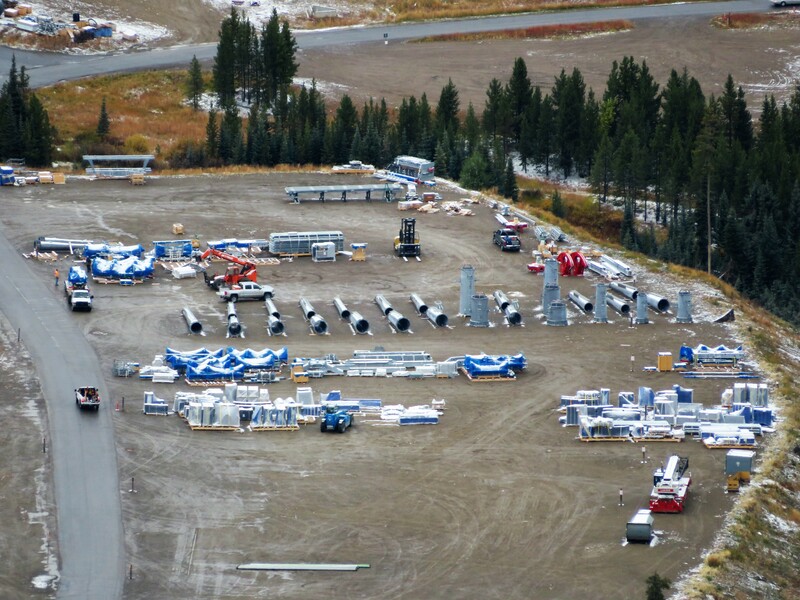 In the below photo, you can see the last of more than 50 towers being completed. 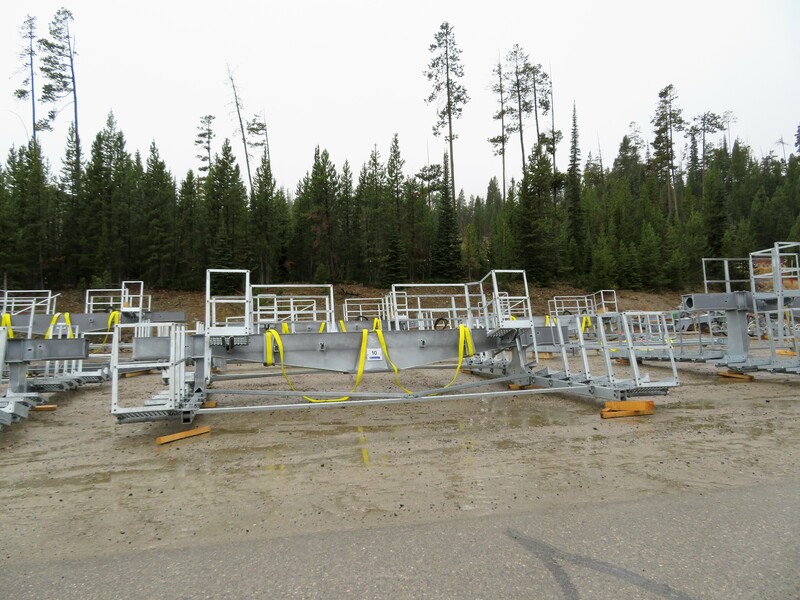 Parking rails for hundreds of cabins are also being pieced together at the massive Caribbean Beach hub. 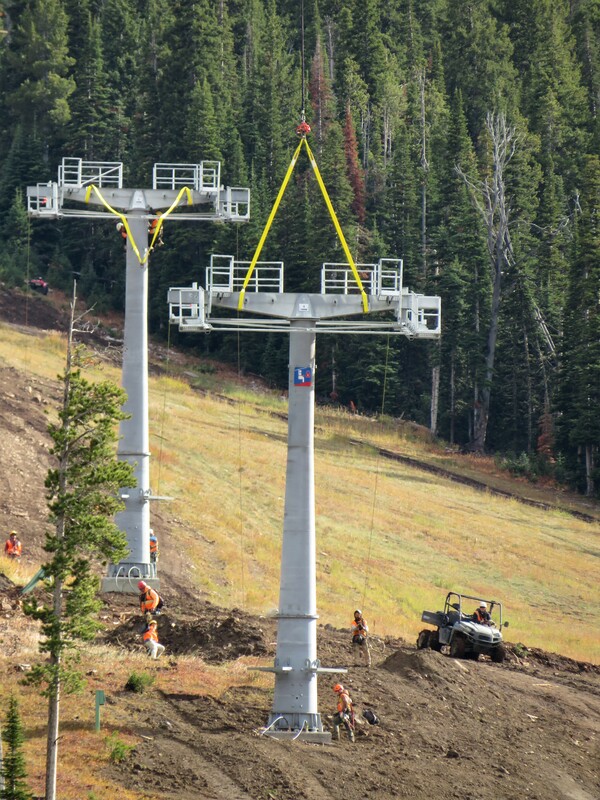 Skyliner Update: Hiring Begins, Ropes Soon? 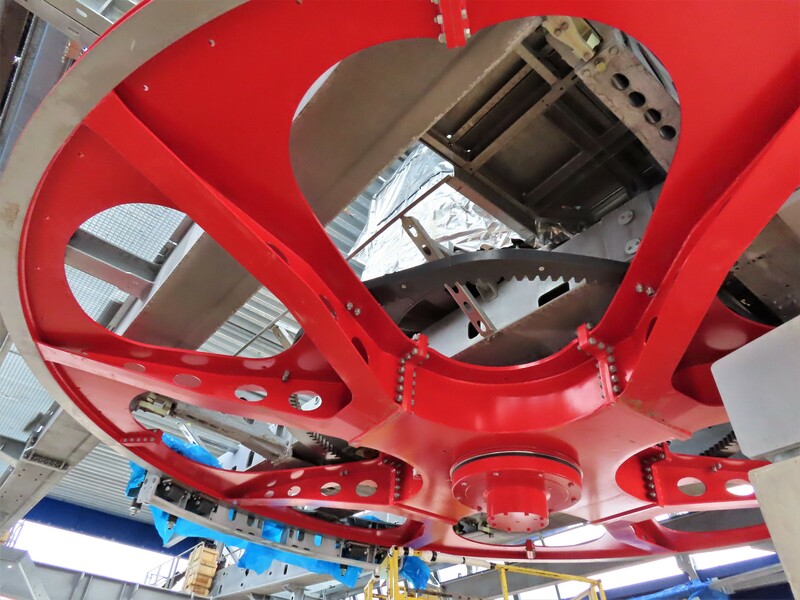 Walt Disney World Resort’s Skyliner is beginning to look a lot like a gondola – actually a system of gondolas unlike anything ever built in North America. Before I get to construction pictures, two significant developments occurred within the past week. First, Disney Parks announced that water taxi service between certain destinations will be suspended for 21 days beginning November 28th, likely so haul ropes and communications lines can be pulled between the eight gondola stations and 50 or so towers. Second, the first Skyliner-specific job posting appeared last Thursday. More on that in a minute. The station at Epcot International Gateway is getting close and scaffolding shown below may be for applying the graphics shown in this artist’s rendering. 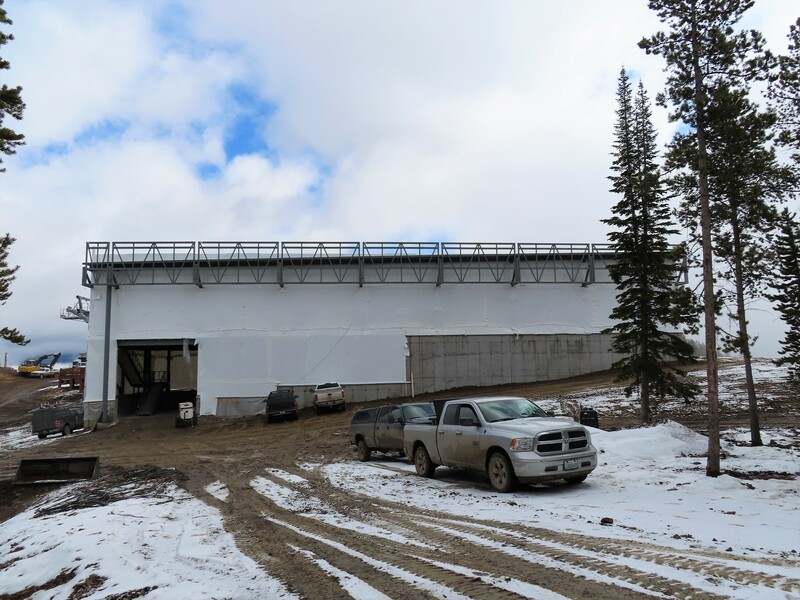 The rear end of the terminal is getting a steel structure over the turnaround area where guests will load and unload. The non-boarding station to the southwest of Epcot now looks similarly complete. Some of the D-Line windows are transparent while some are opaque, breaking up visually this very long station. Unfortunately the three awesome red bullwheels are being covered with terminal skin as well. Notice the stub rails on both sides which will ensure no cabin is ever more than two stations away from somewhere it can be removed. The primary parking and maintenance bays will be at Caribbean Beach South, two stops away from this angle change. The Epcot line has a total of four stations. 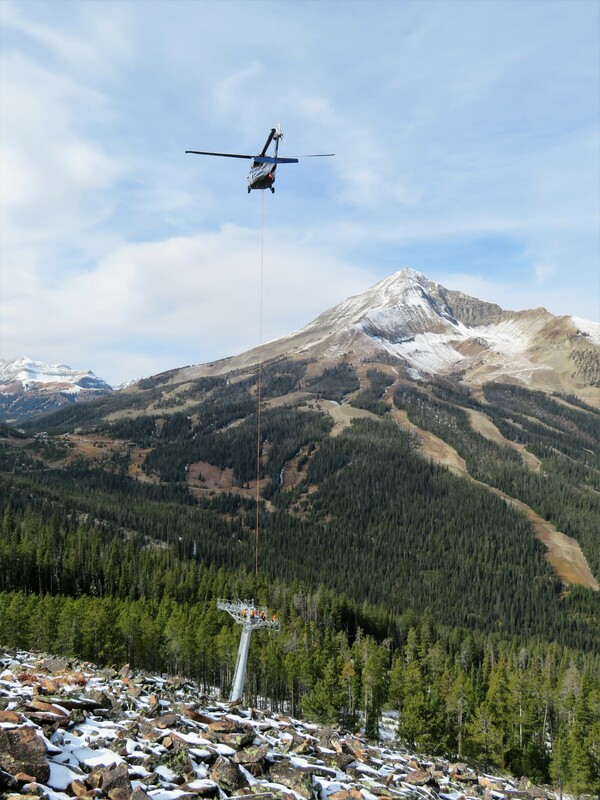 On the heels of building its 50,000th Omega gondola cabin, CWA Constructions introduced the fifth generation of an icon yesterday. 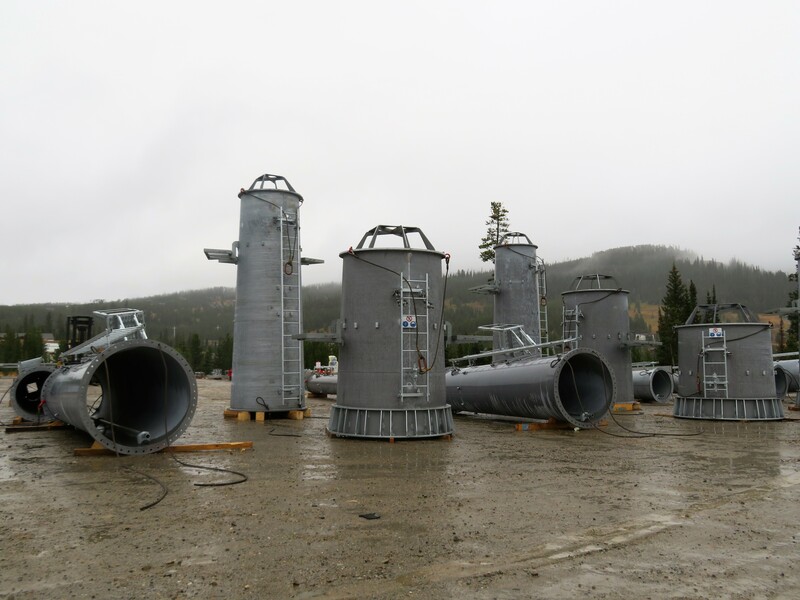 Omega V features updated design language and is highly customizable for monocable gondola installations going forward. Omega first debuted back in 1983 and the the rest is history. 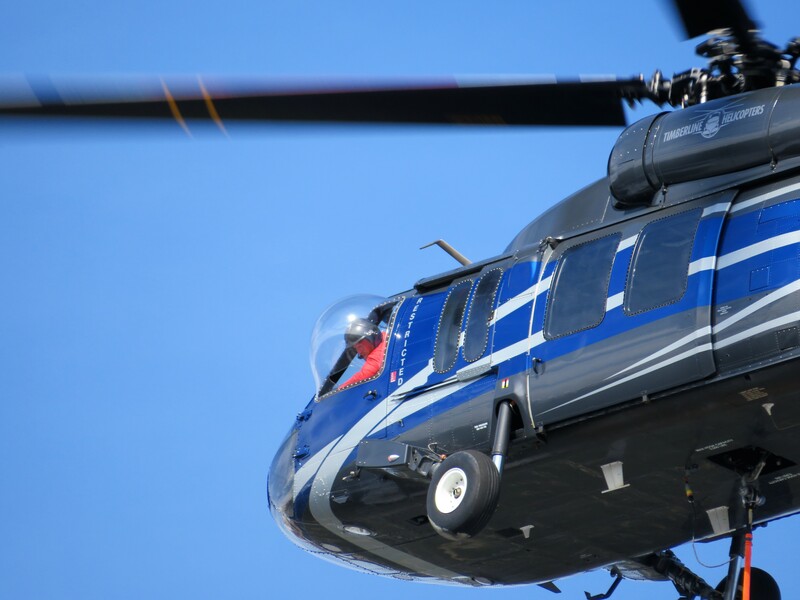 The Omega IV joined the dynasty in 2007 and in just a dozen years became the chosen carrier for 29 gondolas in the United States and Canada. 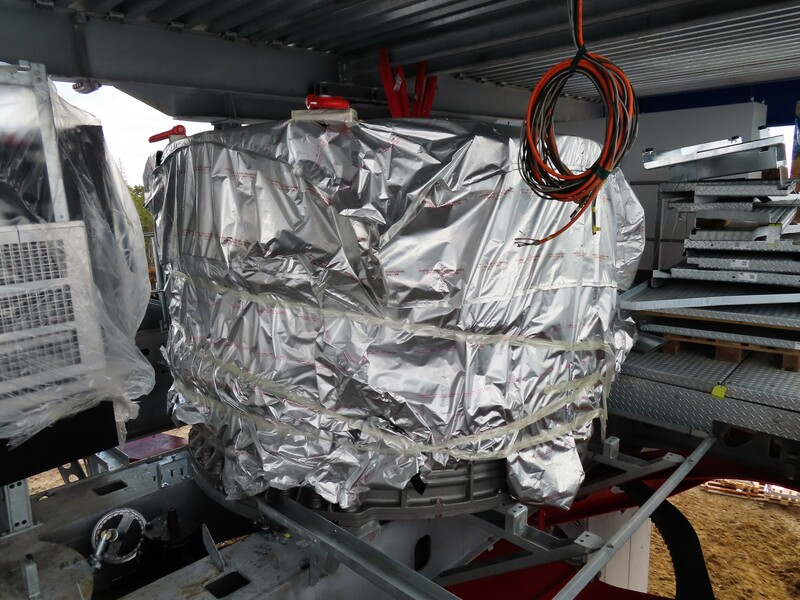 “The new cabin features the unmistakable Omega shape which merges seamlessly with any of its surroundings. 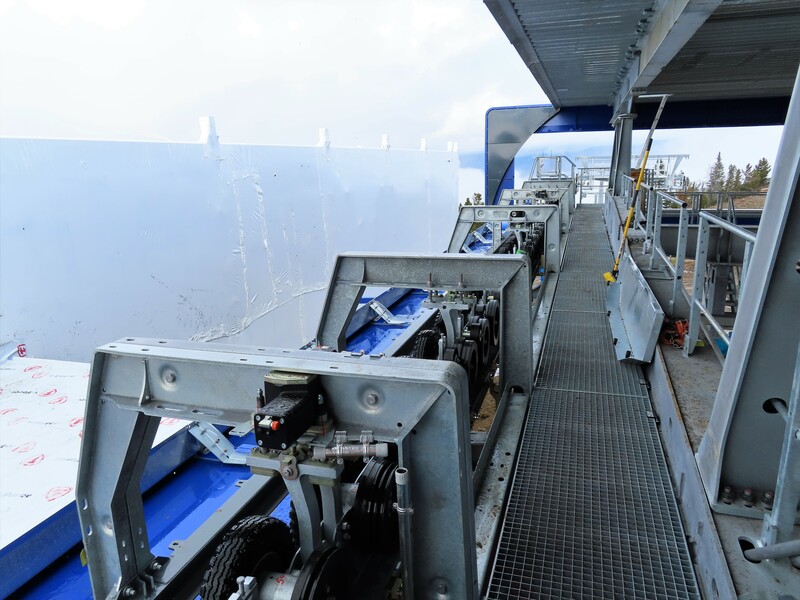 The cabin has been completely redeveloped while retaining the core values of a true Omega,” Doppelmayr says. 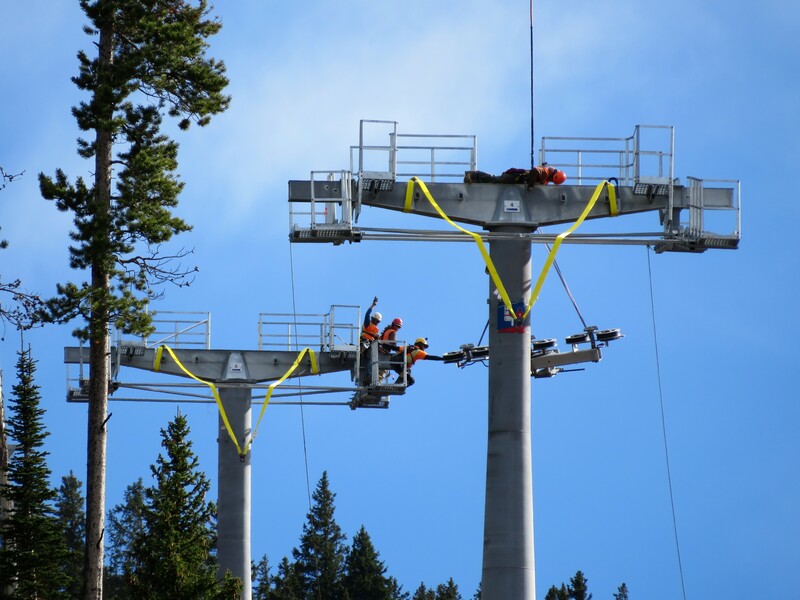 Designed with 10 passenger D-Line systems in mind, The V will become the global standard for snow, tourism and urban installations by the Doppelmayr Garaventa Group, of which CWA is a member. The changes I noticed first were the suspension going below the roof line and the bench seats being swapped for individual places (each seat is 18.1 inches or 460 mm wide, more than you’ll find in a typical economy airline seat.) 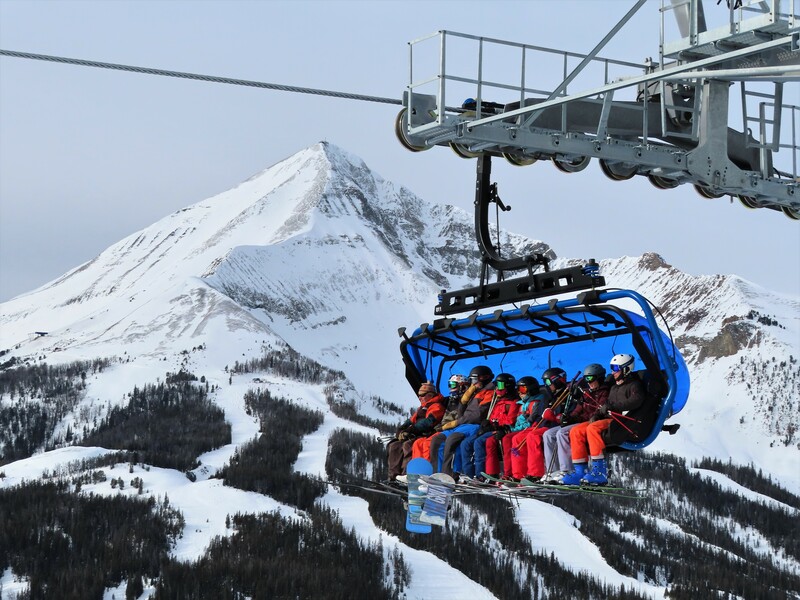 The V has new ergonomic ski rack choices, two bumper options and wider doors that open to 35 inches (900 mm.) 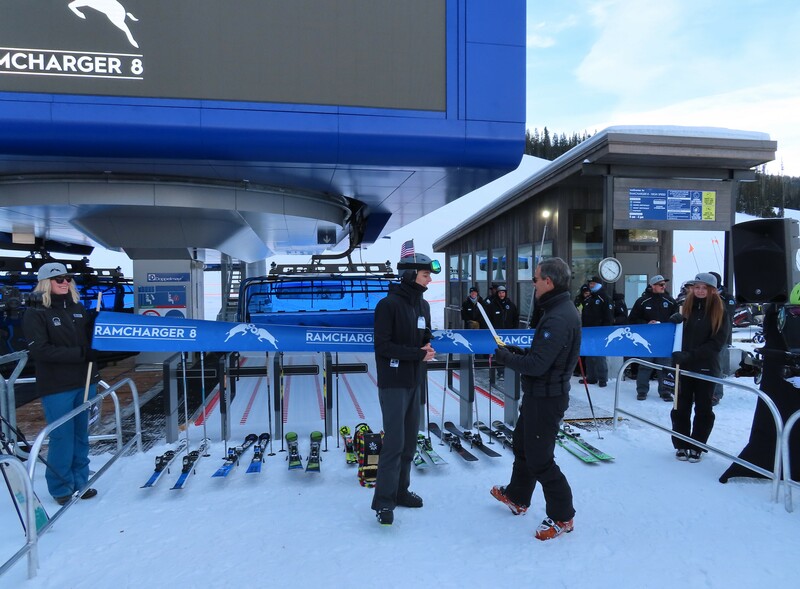 A single door can hold up to six pairs of powder skis or five with a snowboard lot. An interior bike rack is also available. 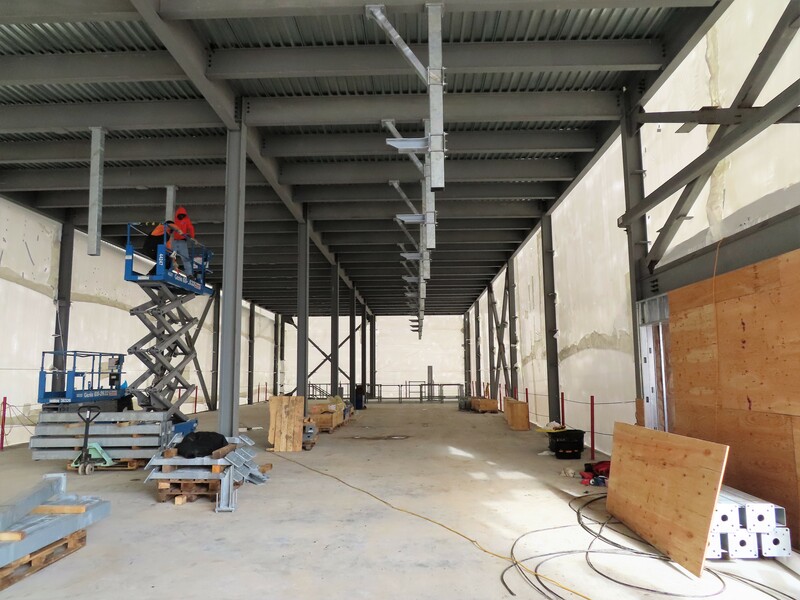 Eight is the magic number of gondola terminals now vertical in Florida. 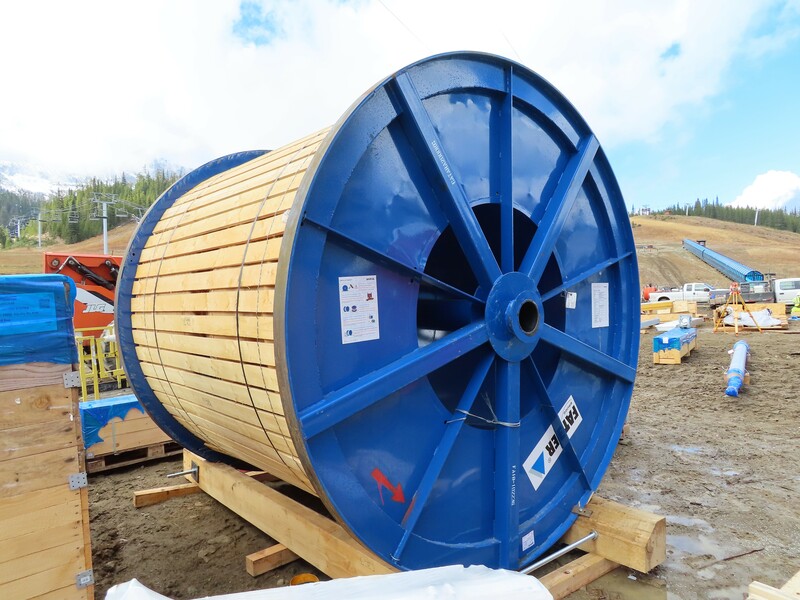 Three haul ropes will soon connect these stations at two iconic theme parks and four distinct resorts to create the Disney Skyliner network. 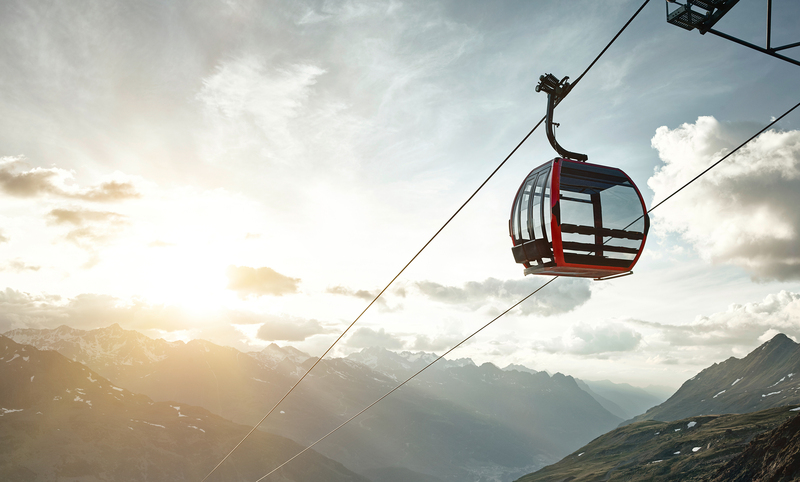 With innovative loading capabilities and huge capacity, the Skyliner is poised to become a world showcase of gondola technology in 2019. 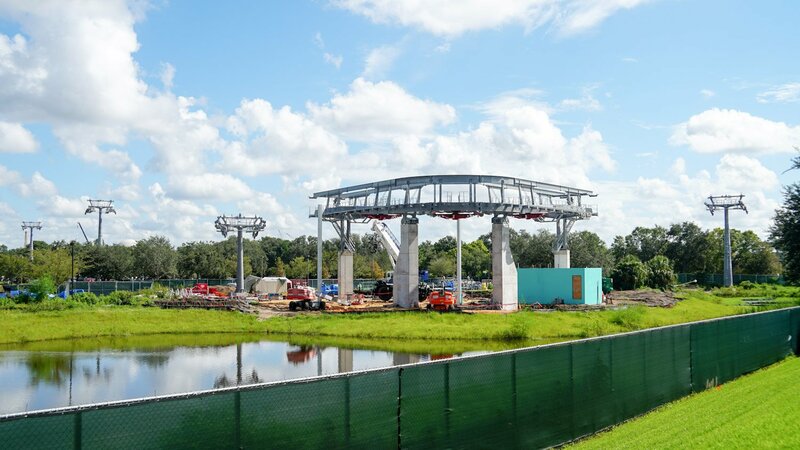 The gateway of Walt Disney World’s gondola system is being assembled this month at Epcot. 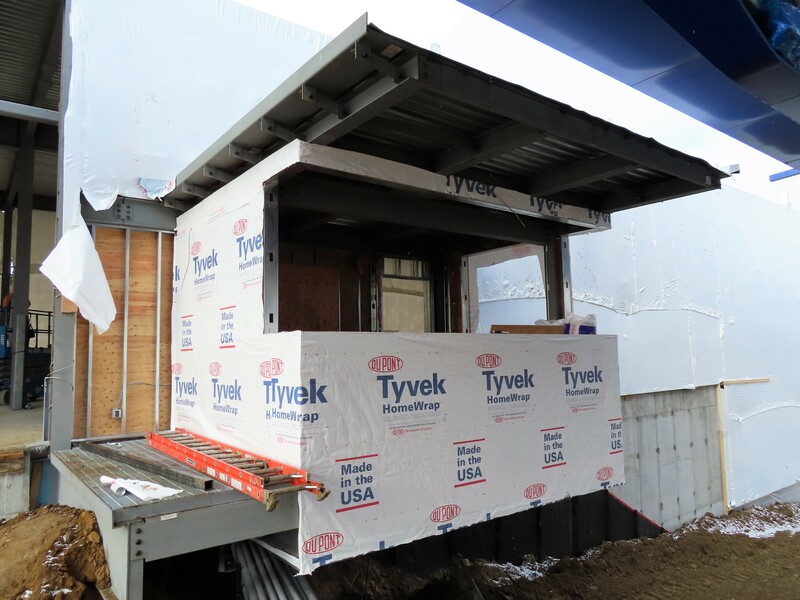 Like most of the Skyliner stations, cabins will likely transit two separate loading zones to accommodate throngs of passengers of all ages. Each Skyliner building features a different theme and the outside of this one is going to be dark gray. 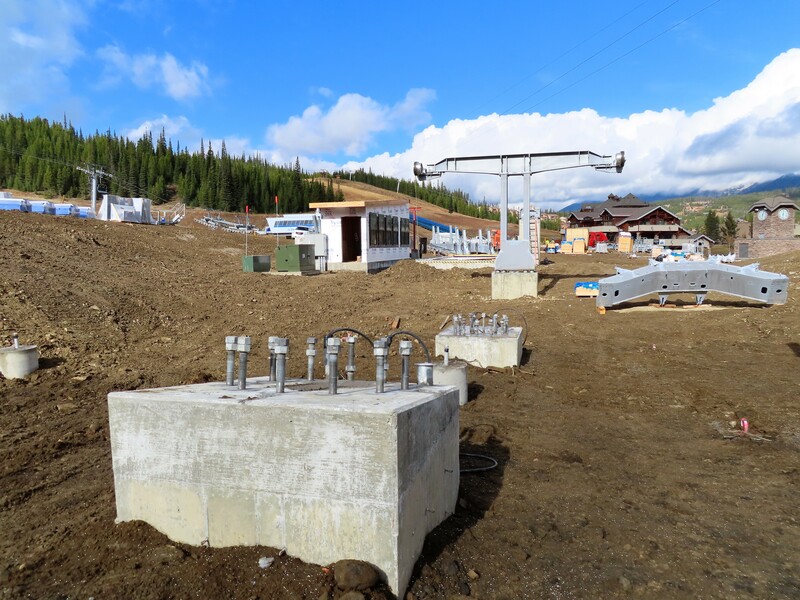 In a decision the Durango Herald calls a “bombshell,” the Forest Service proposes granting road access to the controversial Village at Wolf Creek, which would include two new lifts near Wolf Creek Ski Area’s new Meadow quad. 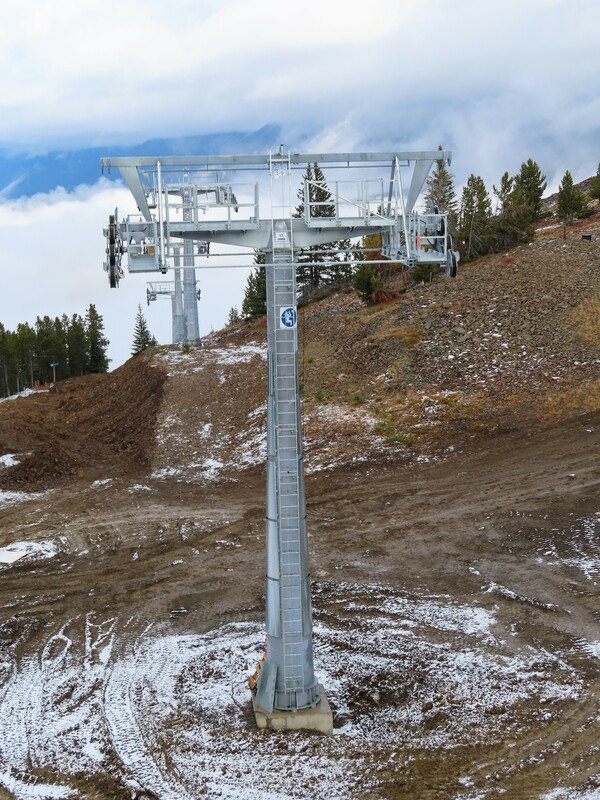 Magic Mountain’s new Green lift is set to debut this winter but the Black Line Quad may not spin until 2019. 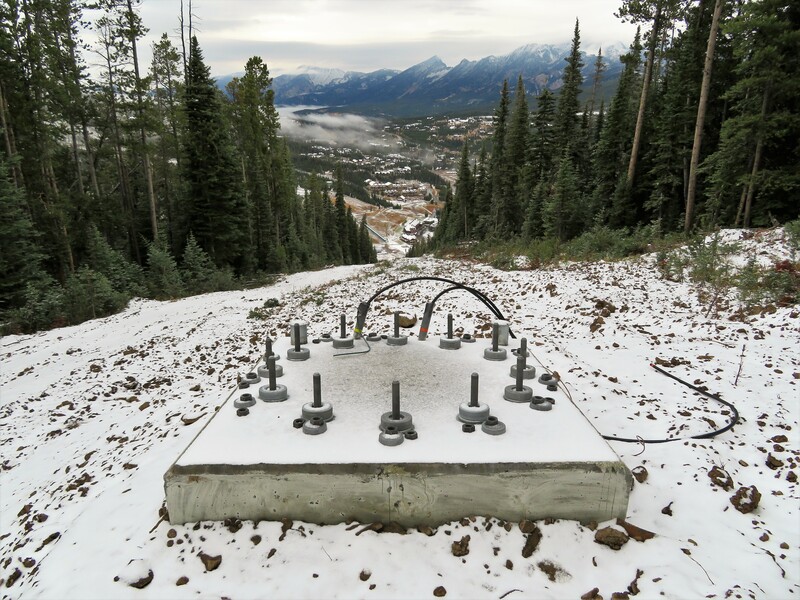 Tawatinaw Valley, a county-owned ski hill in Alberta with three T-Bars, will go out of business on October 1st due to continued losses. The price of steel is up up 33 percent in the United States so far this year and companies like Caterpillar and Polaris are increasing prices as a result. 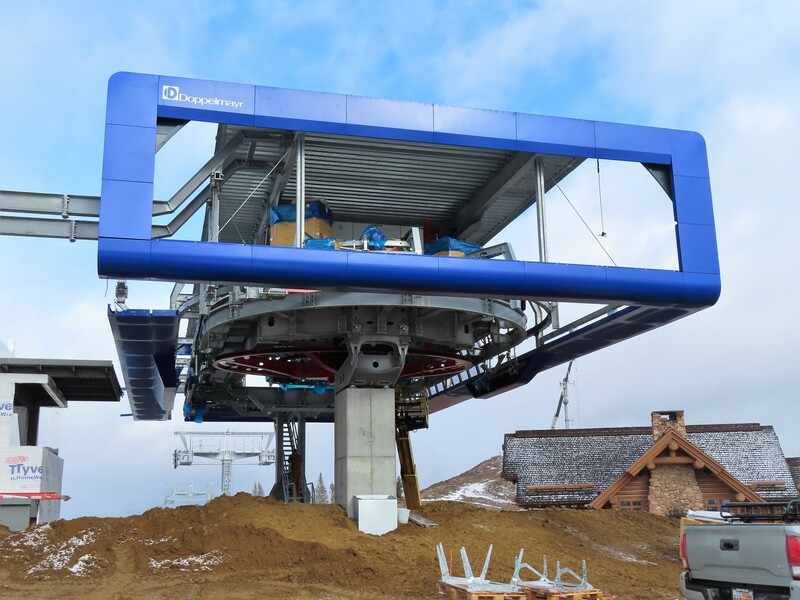 The first Doppelmayr/Garaventa lift with D-Line cubic glass enclosures comes together in Switzerland. 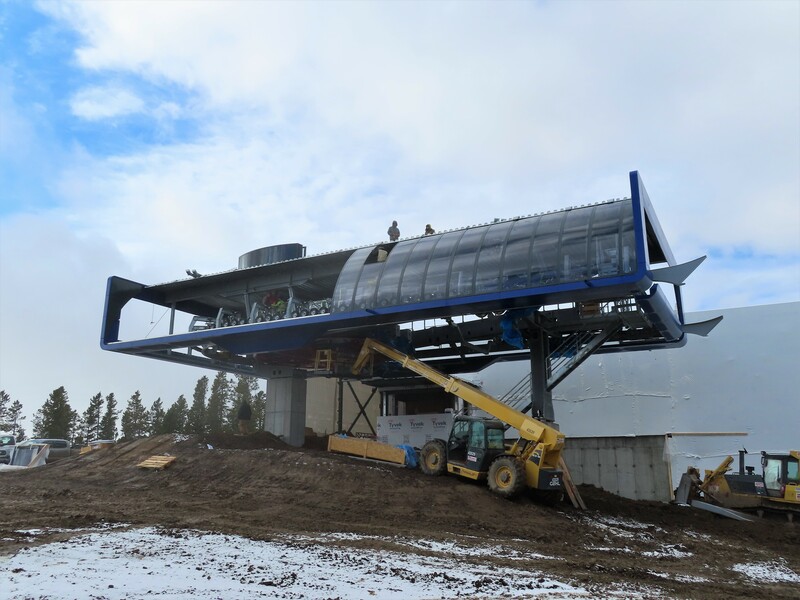 Loveland’s new high-speed quad gets a name: Chet’s Dream. Opening of the Transbay Transit Center tramway in San Francisco slips to September. 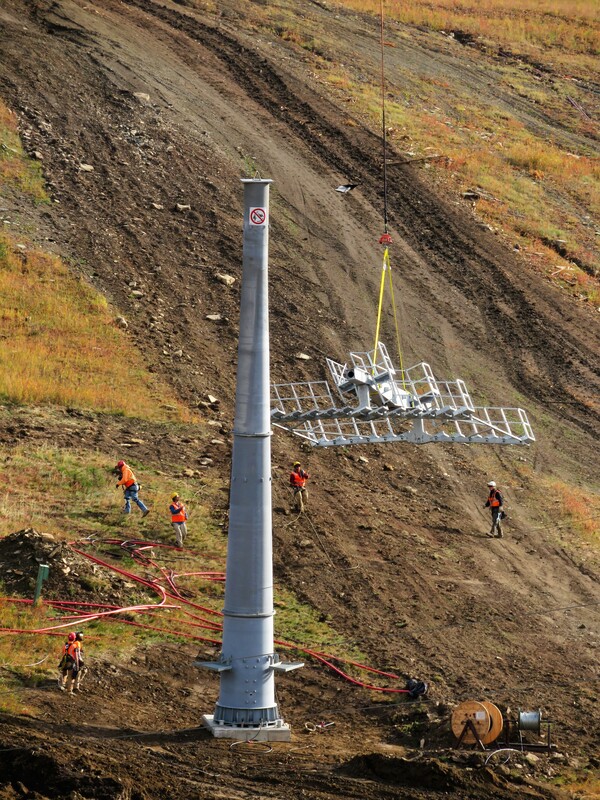 A refurbished Riblet quad from the closed ski resort in Drumheller Valley, Alberta goes up for sale. 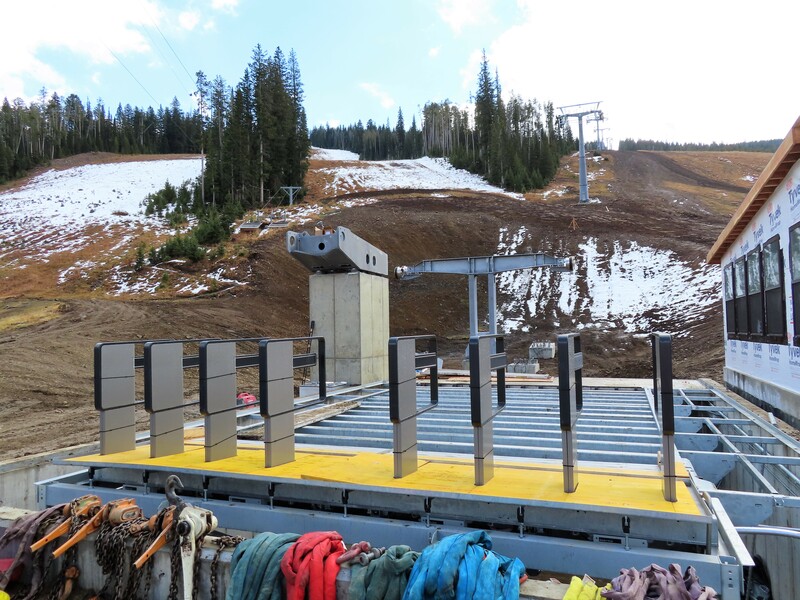 Alterra officially takes the reigns at Solitude. 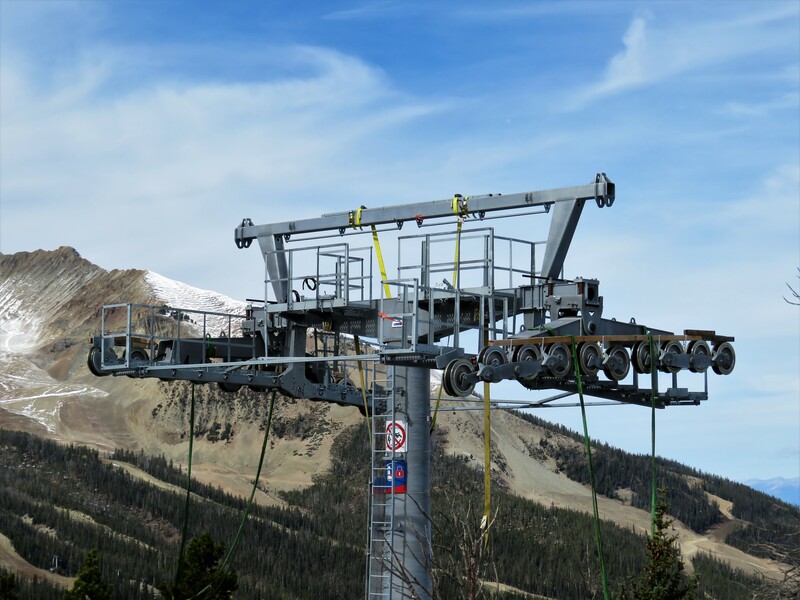 Leitner-Poma of America President Rick Spear goes on the MarketScale Transportation Podcast to discuss the ski lift business and growth of urban cable transport. 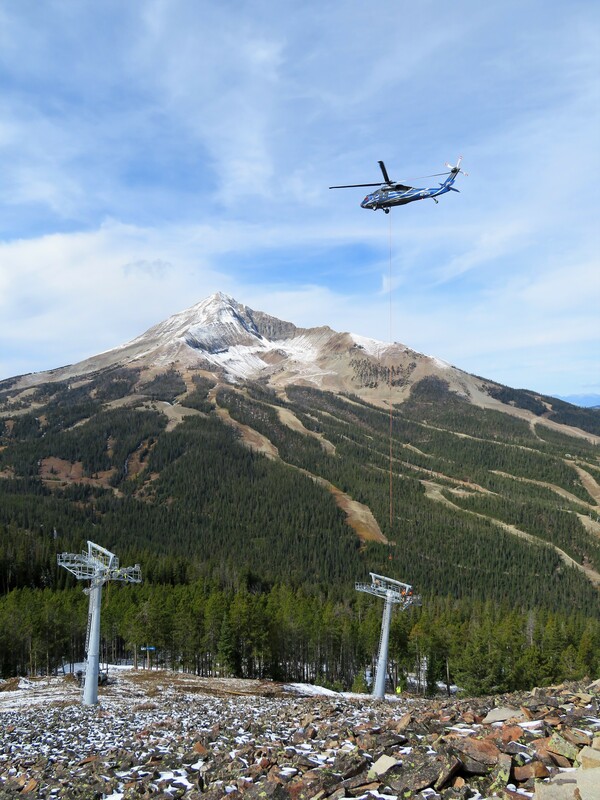 With two Mueller lifts in need of work, Mt. Timothy, BC will likely close if it can’t find a buyer. 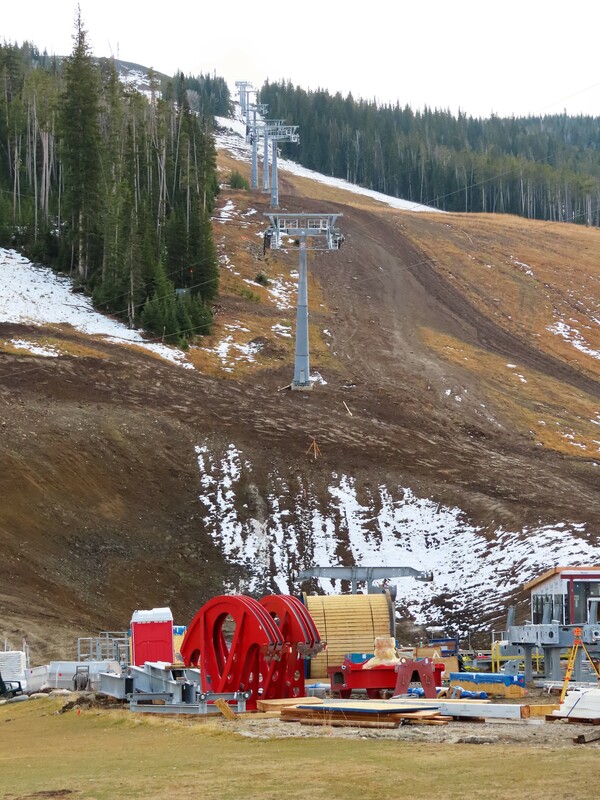 Big White’s retired Powder triple is headed to Red Mountain. 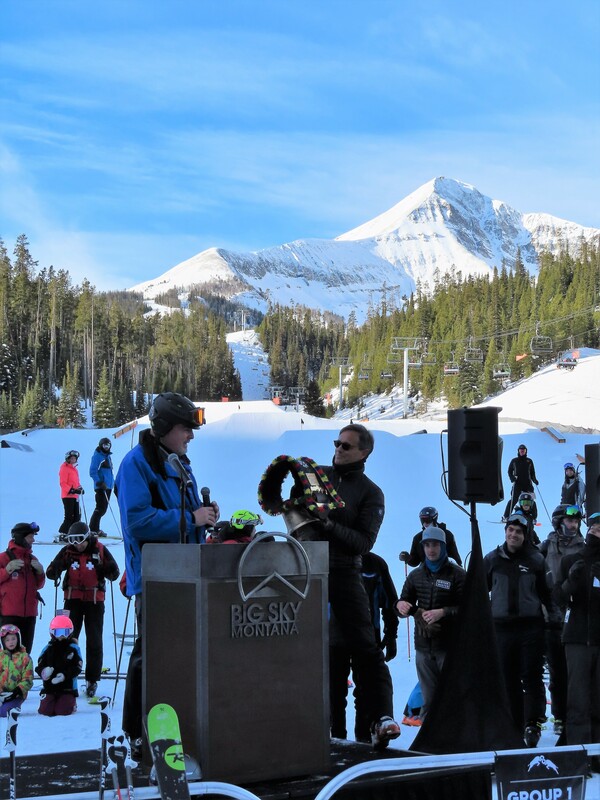 Copper Mountain commits to building its fourth new lift in three years, a Leitner-Poma triple on Tucker Mountain in 2019. The Miriam Fire is burning uncomfortably close to White Pass Ski Area.